A thorough guidelines to insert and adjust Pricing Table for products and rates at HTML page. Implementation of the guide doesn’t need abilities in programming and will take around 3 minutes. 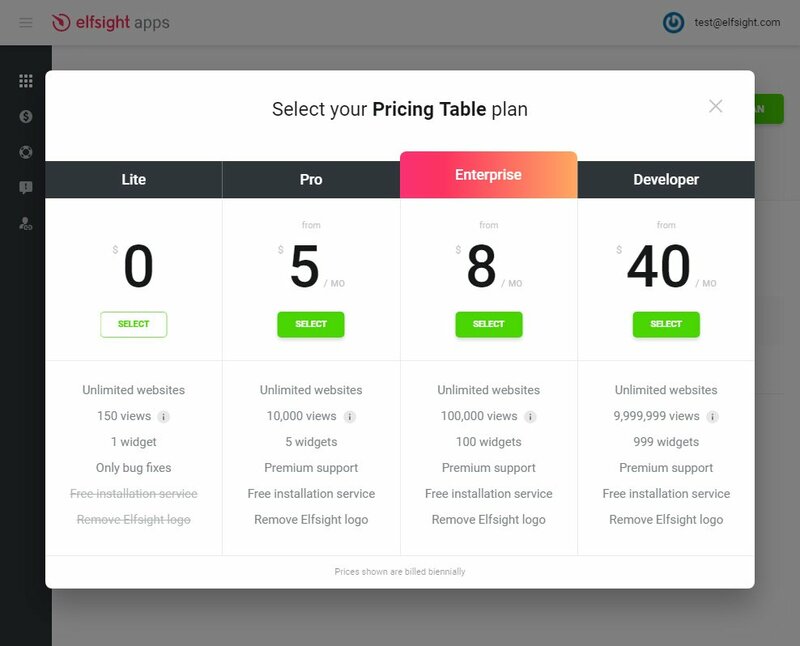 Define features and tariffs for the content or services to get customers today with responsive HTML Pricing Table by Elfsight. Use developed layouts or edit each component manually, our widget will perfectly suit design of any resource. Technical support for fixing questions. 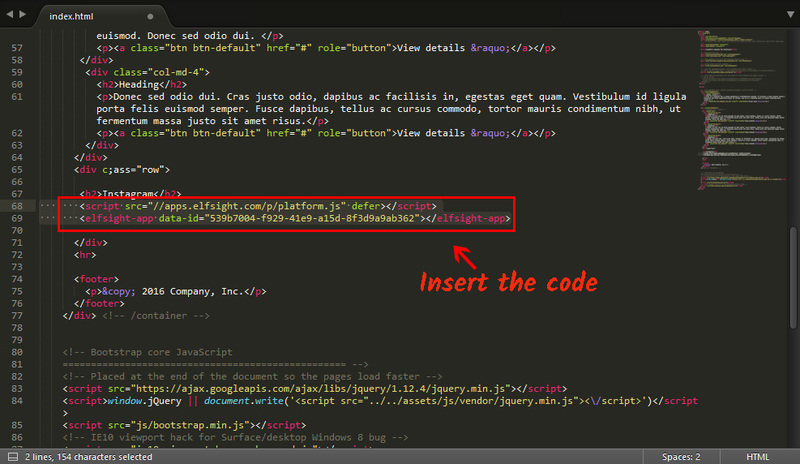 Execute the specified stages to get the code for HTML page. 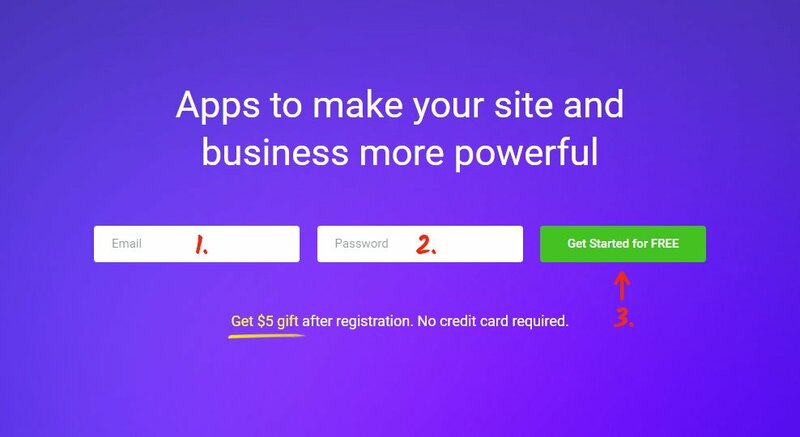 To create a widget for your own webpage it is necessary completely to execute below-mentioned points. If while setting you will have hardships, address the Support Center. Type your personal e-mail address email box and set a password. If you already have an active user account, you can just enter. In the list find Pricing Table and press it to pass to web page of the plugin. Select your style or generate your plugin from the scratch. More details of all features can be seen on the plugin page. Your requirements select preferable offer from the given. We have free offers, as well as chargeable subscription. Finish this point by copying the code that you need to place on your own web page. Go to editor and install the widget code to the required block. Save the results and upload this page to the server. 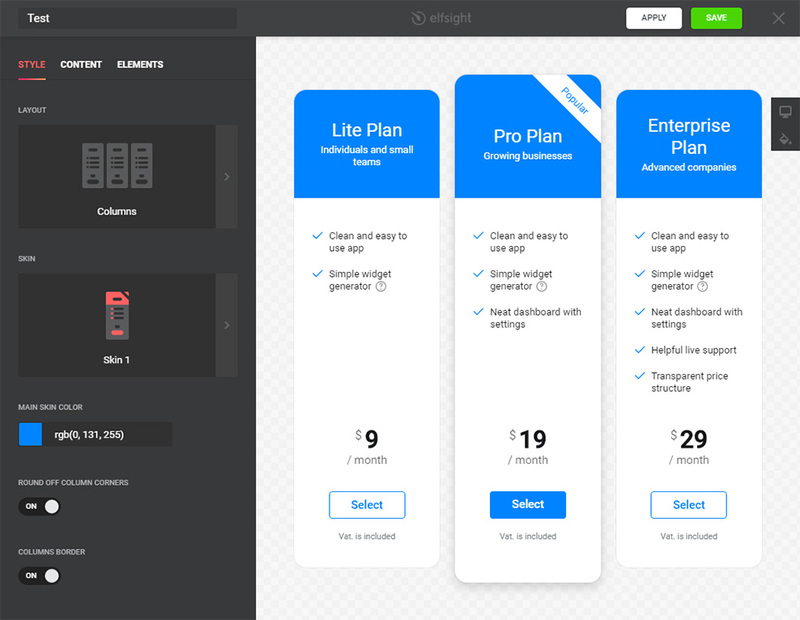 Pricing table has been installed! The code installation is now complete. How to alter the parameters of the widget after adding? After inserting the widget to the website, all parameters you can be use on your own user’s account at Elfsight Apps. Introduce corrections to the simple editor and save them, all corrections will be implemented automatically and do not require changes at your HTML site. This service of a cloud type introduces possibilities to change your own web platform using strong tools such as plugins and widgets. Embed high-quality functionality or unite your website with social networks to raise the number of users and sales. Appreciate our HTML Pricing Table for Free! 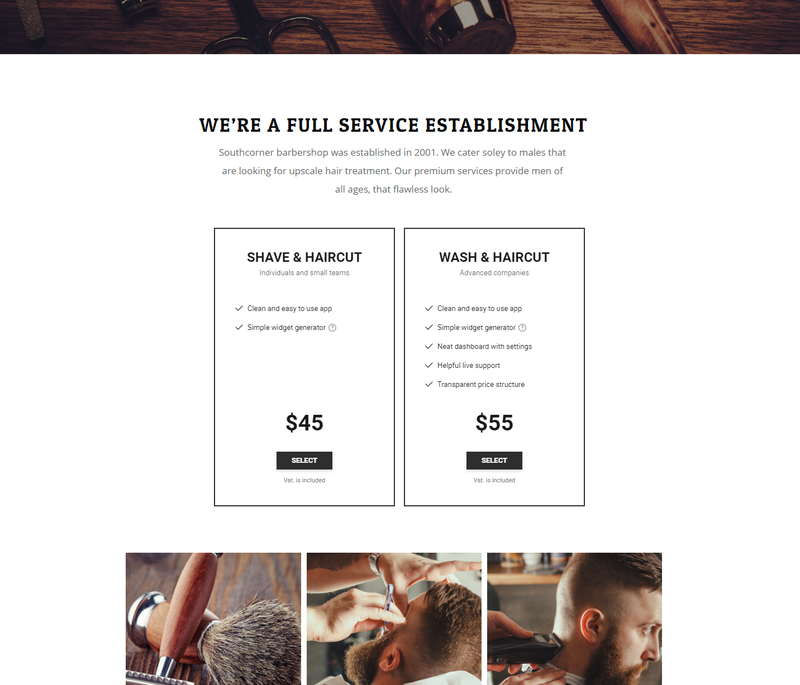 Generate the responsive code for your website straight away.